Our Junior Rifle is teaching gun safety and promoting the shooting sports to the next generation. Regardless of age or experience, participation in any of our Rifle programs requires passing a mandatory safety training class, including a written test. We have the Monthly South Coastal Junior Rifle program on the second Sunday 6:30pm to 8:30pm. For new shooters, please contact Coach Studley, 617-590-8771 to schedule initial training. 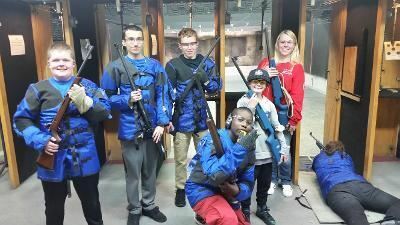 We teach basic safety and marksmanship to Club members kids and grandchildren, 10 to 18 years old. 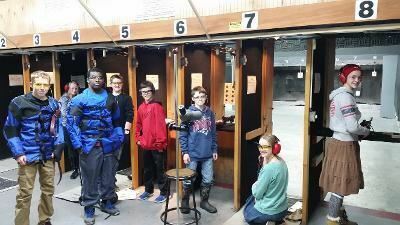 A 1 hour one time basic Rifle safety course is the requirement to shoot with the South Coastal Junior Rifle team. 4 hour safety training event is required to shoot with South Coastal Youth Rifle, or verified shooting proficiency. The team has both young men and ladies from Quincy to Plymouth, and participates in the NRA/Winchester Rim-fire Marksmanship qualification. 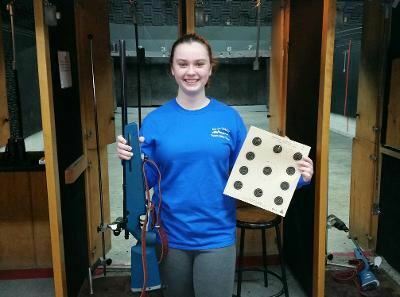 We have had several shooters in the last 2 years in multiple regional matches, including the 'NRA Open 3P Small-bore Rifle Indoor Sectional Championship', 'U.S. Army Marksman's Unit Eastern 3P Small-bore and Air rifle Championships' and 'Massachusetts Junior Olympics'. We have multiple NRA Expert Prone Rifle Shooters, several youth are members of the of the Olympic Shooting organization USA Shooting and are rated NRA Competitors. The team has been shooting since 2010 and is growing and always looking for new members- you do not need to be involved with or related to a club member, just a desire to try to succeeded in this challenging sport. Both youth programs are at no cost- there is no rifle or any gear required, the parents do not have to be gun owners, all material and training is supplied. These programs all have State certified Firearms instructors, NRA/USA Shooting Rifle Coaches and Assistant Coaches running the events and are always present. The only Firearm types in use are bolt action 22 caliber rifles. Safety is our first priority, and fun and accomplishment are next. Contact Ernest Studley 617-590-8771, studley1959@yahoo.com for more information about our youth rifle programs.